Ambition is the important part of every progress. People need to strive and have the will to realize their dreams. Without the ambition and the desire to succeed there can be no success. Some people can be too much ambitious, which can lead to selfishness and corruption, so the balance is very important. Reading these motivational quotes about ambition will give you courage and help you start your own journey toward the realization of your goals. We should strive to reach other people’s hearts. If you try your hardest to achieve your ambition, anything is possible. There can never be an end to ambitions. As we grow up, our ambitions become bigger. Ambition and intelligence are equally important. We need to be ambitious and strong in order to reach the success. Work passionately to achieve your goal. Good is not better than best. Great ambition leads people to great things in life. If we have no ambition, we can’t achieve anything important. It’s important to dedicate our time and efforts to the things we love. You should not only have great ambitions but also timely actions. 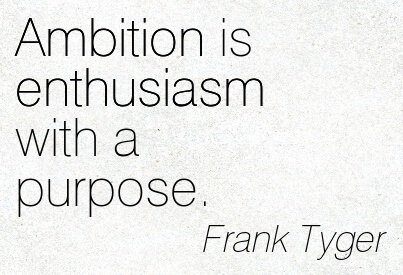 Ambition and love are the best combination. When we reach one dream, we should make a new dream. We can’t fulfill our dreams without the hard work and perseverance. 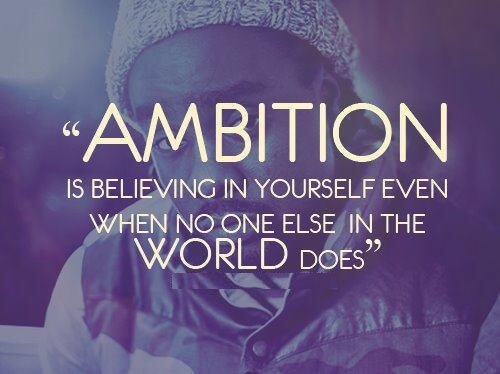 Quotes about ambition will inspire you to continue pushing forward. We should work for the things we desire. Hope exists only for those who are ready to fight for their dreams. People always have to strive to learn more and be more.